We are located in Wichita, KS and love being able to share our joy of chameleons with all of you! 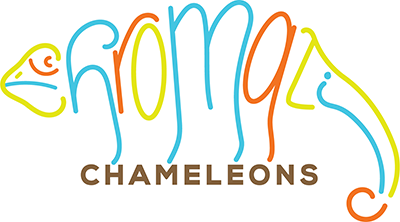 Chromatic Chameleons offers chameleons for sale in Kansas and nationwide. We offer lifetime breeder support. What does that mean? That means if you have any questions about how to properly care for your chameleon we will be happy to answer. Our panther chameleons are a huge part of our lives, and we want to make sure you get the same amount of joy out of them as we do. We are a small family operation and plan to always keep it that way. We really enjoy getting to know each one of our chameleon’s personalities and quirks. This allows us to make better breeding decisions focusing both on color and temperament. When we decided we wanted to start breeding chameleons we spent months looking for the right bloodlines to start. We both fell in love with Ambilobes first and quickly found ourselves drawn to the Nosy Bes as well. We began our breeding program with a small little guy we named Felipe. He was sired by Canvas Chameleon’s Bolt so we knew he would be gorgeous when he grew up, but we underestimated just how gorgeous. He is one of the cleanest yellow-bodied blue-bar Ambilobes I have ever seen. With very little red to get in the way of showcasing his gorgeous blue bars. His temperament was just as great as his color and with that combination, we knew we had something special. As soon as we saw what a stunner Felipe was developing into, we began to look for just the right match. We found that match in Snapjacks. She was from stunning yellow-bodied blue-bar bloodlines and could only improve upon what we already had. From there we have followed that same model with each one of our chameleons. We look very closely at the bloodlines of each chameleon we bring into our breeding program and only reproduce the most stunning panther chameleons with great temperaments and health. We take special care to individually raise each baby chameleon individually. This allows us to raise chameleons the way they would be in the wild. There is no bullying, nipping at tails, or stress from being too crammed with their clutch-mates. Each baby panther chameleon we have for sale is raised in our Dragon Strand nursery cages for the best health and development. We offer chameleons for sale in Kansas and nationwide. We now have a wide variety of locales available for sale including Ambilobe, Ambanja, and Nosy Be. 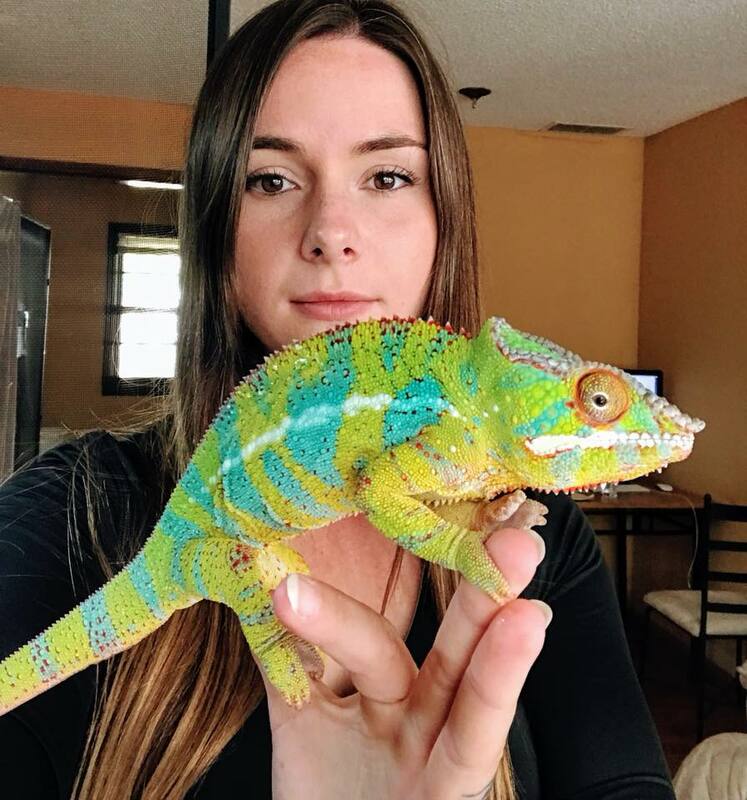 We love helping out new chameleon families and helping them select the perfect panther chameleon for their family. Our baby panther chameleons for sale are from the absolute best bloodlines and have been raised the best way possible. This ensures that any baby panther chameleon you purchase from us will be in the best of health. Each one of our Panther Chameleon breeders is housed in a 24″x24″x48″ enclosure full of live plants, branches and vines. We do not skimp on space or quality of enclosure just because we have a lot of chameleons to house. Some will tell you that females are fine being housed in much smaller spaces, but we have not found that to be the case. Our females actually tend to explore their enclosures even more so than the males so we make sure they have access to cages just as large as our males. We house most of our Panther Chameleon breeders in our living room so the appearance of the enclosures is also very important to us as well. We use different foam backgrounds and Great Stuff Pond and Stone to allow us to decorate the enclosure and attach live plant pots to the sides of our enclosures. This allows us to get great hiding places and humidity pockets for our panther chameleon breeders without having to have a bunch of stuff cluttering the bottom of the cage. If you need any tips on designing your own panther chameleon enclosure let us know. If you are looking for a panther chameleon for sale please let us know and we can help you find the perfect addition to your household. We offer panther chameleons for sale in Kansas and nationwide. We offer panther chameleons for sale in Kansas and nationwide. If you are looking for our baby panther chameleons for sale please visit our available page.